Silverstorm Bengals – Happy new year and a big thank you to all our customers in 2015! Happy new year and a big thank you to all our customers in 2015! I would like to say a big thank you to all my customers who bought a kitten from me in 2015. 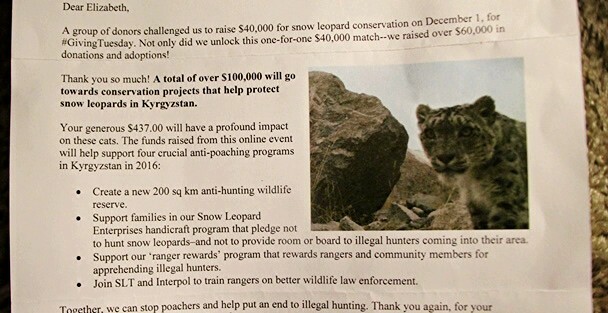 With every Silverstorm kitten sold a donation has been made to the Snow Leopard Trust on your behalf. In buying a Silverstorm kitten you have helped a little towards conserving these beautiful animals in the wild. Luckily I was also able to make the donation on ‘Giving Tuesday’, and the Snow Leopard Trust were able to double the donation of $437 with help from a group of donors!